You can consider this my Valentine post. It's not conventional, but then neither am I. I'm going to share a few of my favorite photographs I've taken of roses. Nothing says romance like roses, and you don't have to water these. 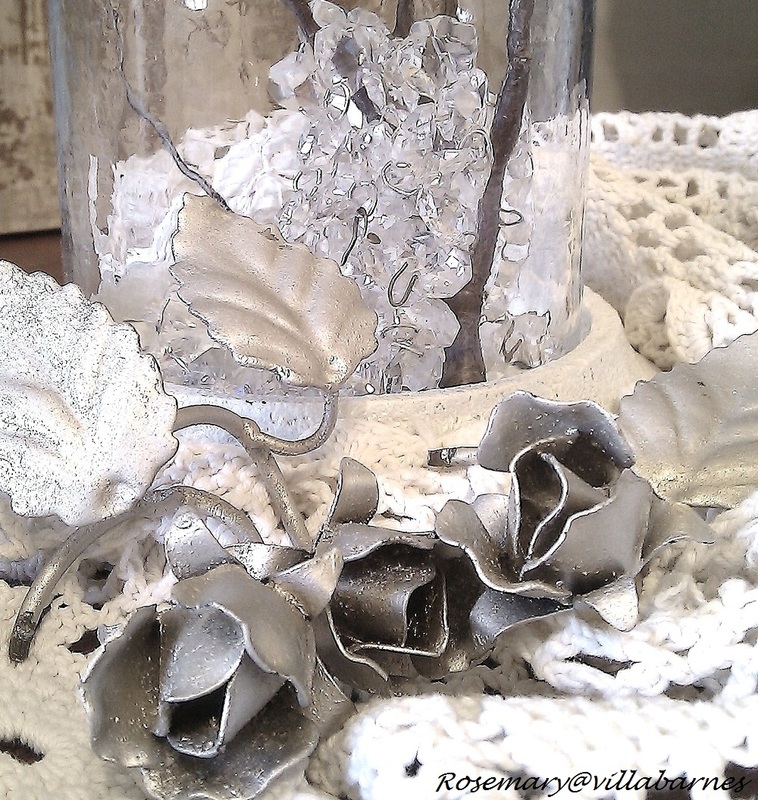 I've used silverleaf on many metal roses. I applied roses to this basket. You can see how in my "Shabby Basket", post. 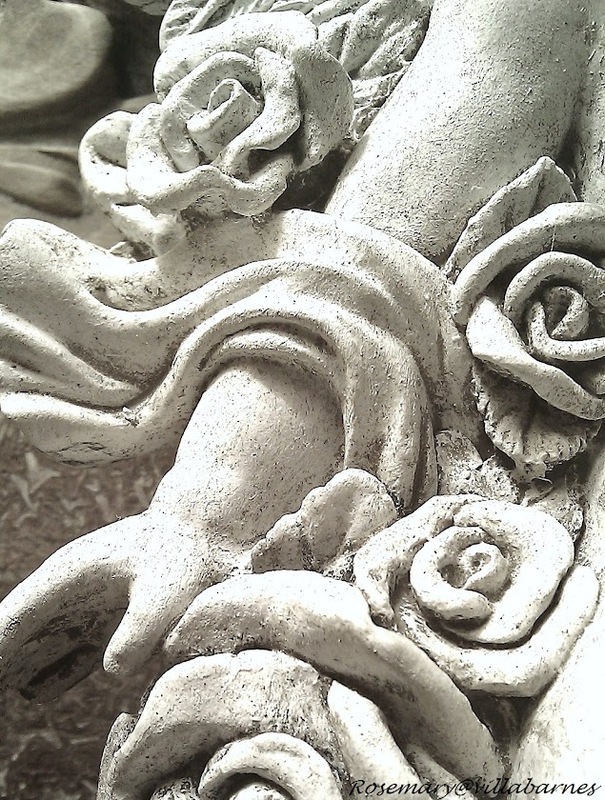 The roses were enhanced in my "Aged Cherub" post. I gave one of my favorite frames a little "Gesso Magic". 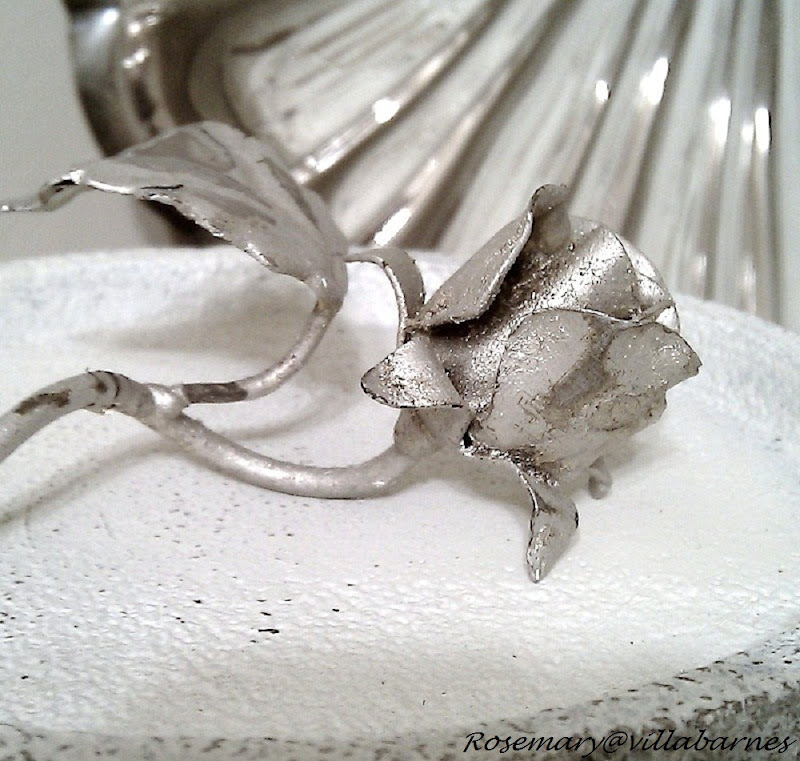 Can you tell I love painting metal roses? 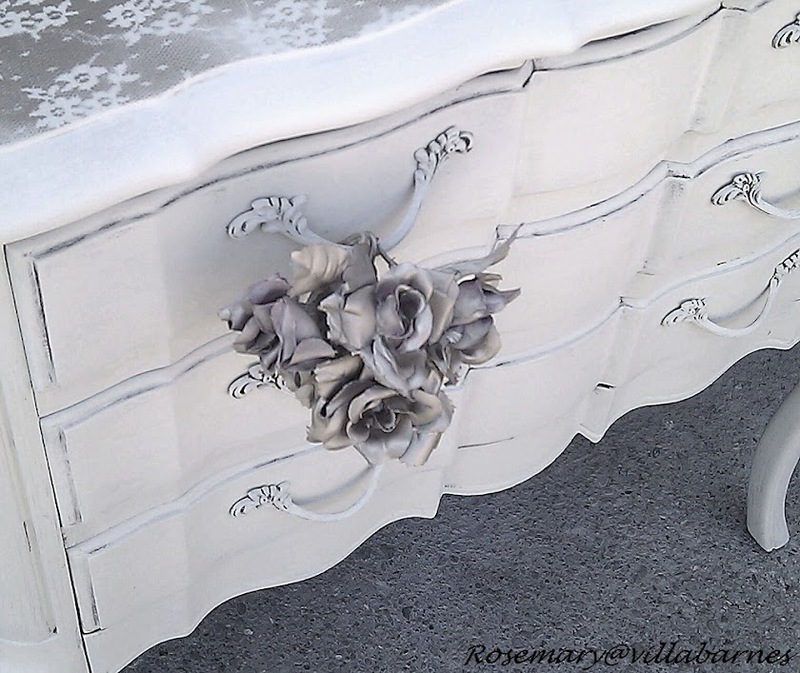 This one I painted white, and chipped it up. I hope you have a HAPPY VALENTINE'S DAY. Beautiful roses. I love them too. Really enjoy your blog! What beautiful images! Thanks for sharing! Have a Happy Valentine's Day! Lovely! And of course I love roses! Happy V-Day!! Happy Valentine's Day, Rosemary. We have a "thing" for roses in common. Happy Valentine's Day, Rosemary! Beautiful photos! 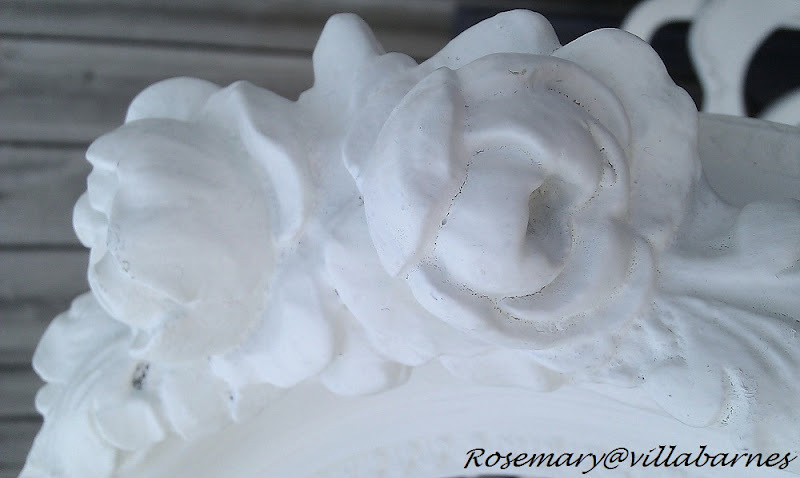 I'm with you--I love roses in every form! Happy Valentines day! Rose rose I love you. Thank you Rosemary for sharing. Happy Valentines Day! Hi Rosemary! These are just beautiful! I love them all! Thanks for sharing the romance! Have a wonderful heart day. Your photos are a beautiful as your work! Happy valentine's Day! not conventional...but oh how cool! 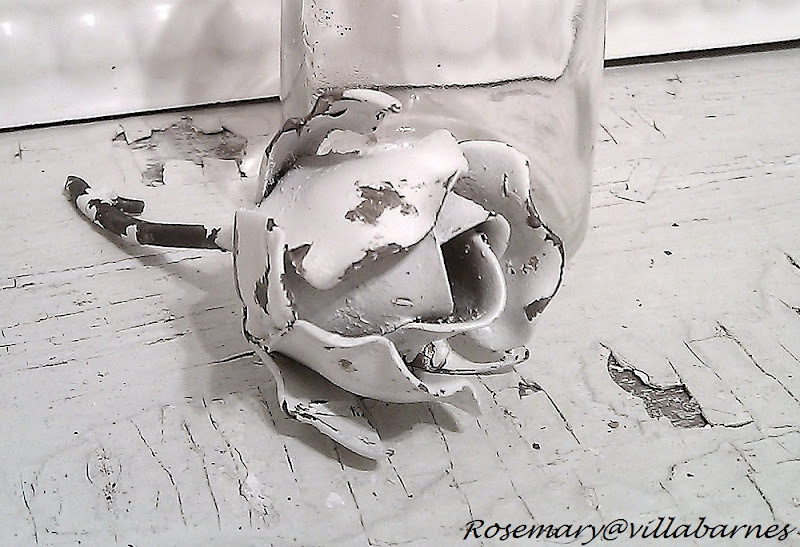 Hope you have a "rosy" day! just perfect for Valentine's, have a wonderful Day!! You are so stinkin' talented Rosemary! i love your roses. And I love it that you are not conventional in style. This post is a perfect Love day posts! Your Roses are very special because they are artfully Made by you! 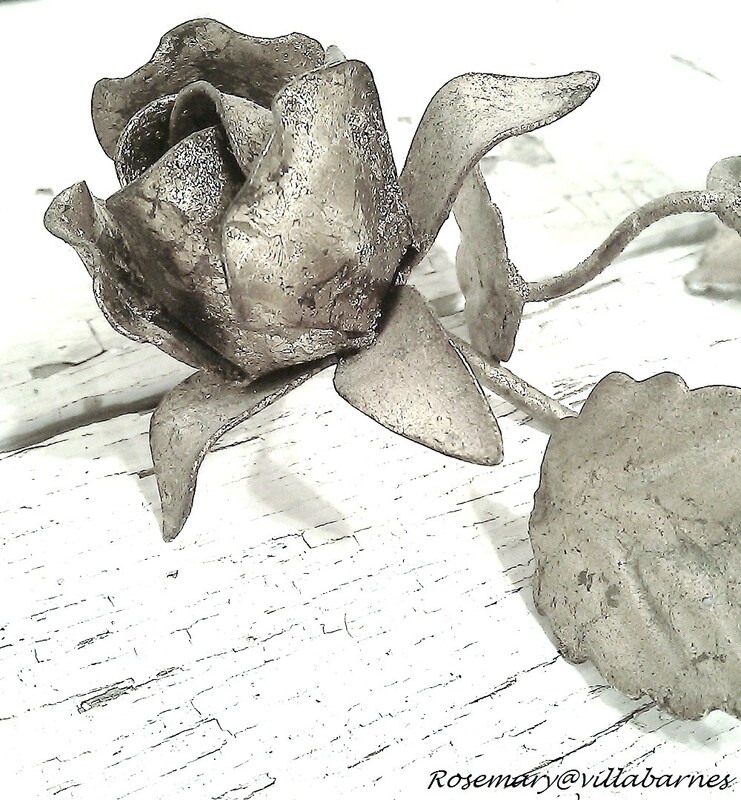 I really love those metal roses in varying stages of decay~so pretty. I just love these roses, and the photos are just breathtaking...I had recieved a gold rose that belonged to an elderly friend after she passed on. Thanks for bringing Bertha's memory to me today. The roses and the pictures are amazing!! You are a fabulous artist, and a totally awesome photographer! How do you do it. You have made even roses prettier than before. Happy Valentine's Day to you too. I love all your beautiful roses, especially since they don't require any special attention. I think the last picture is my favorite, such a pretty bouquet hanging from the handle. They're beautiful. Happy Valentine's Day! 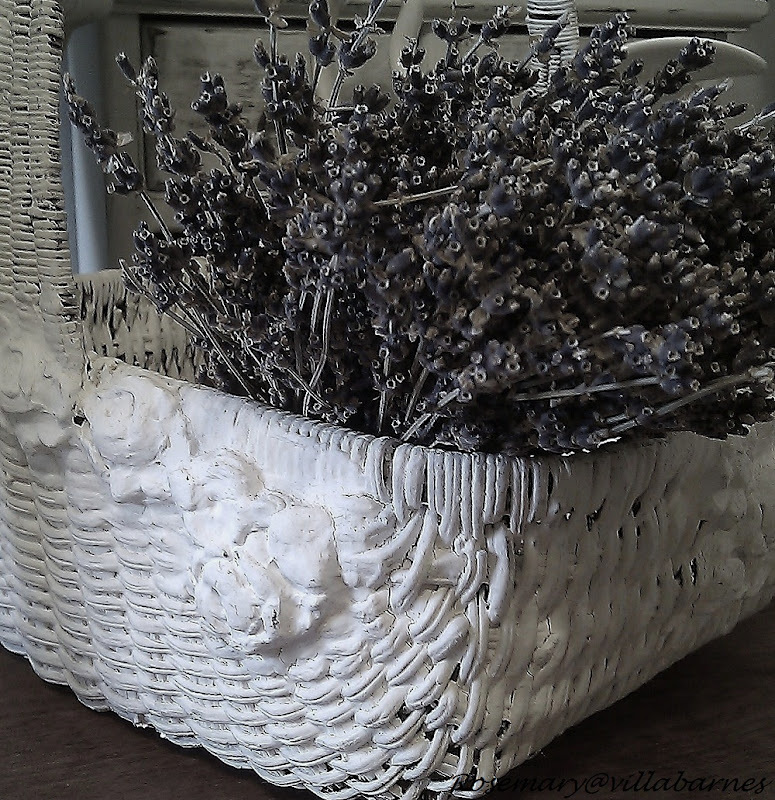 LoVE that ChiPPy-WHiTe RoSE & WHiTe BAsket... See you had "Kane" - Soon... I'll be ShoPPing!!! Your roses are beautiful....Happy Valentine's Day! You may be unconventional, but you're oh so special, Rosemary! Happy Valentine's Day! 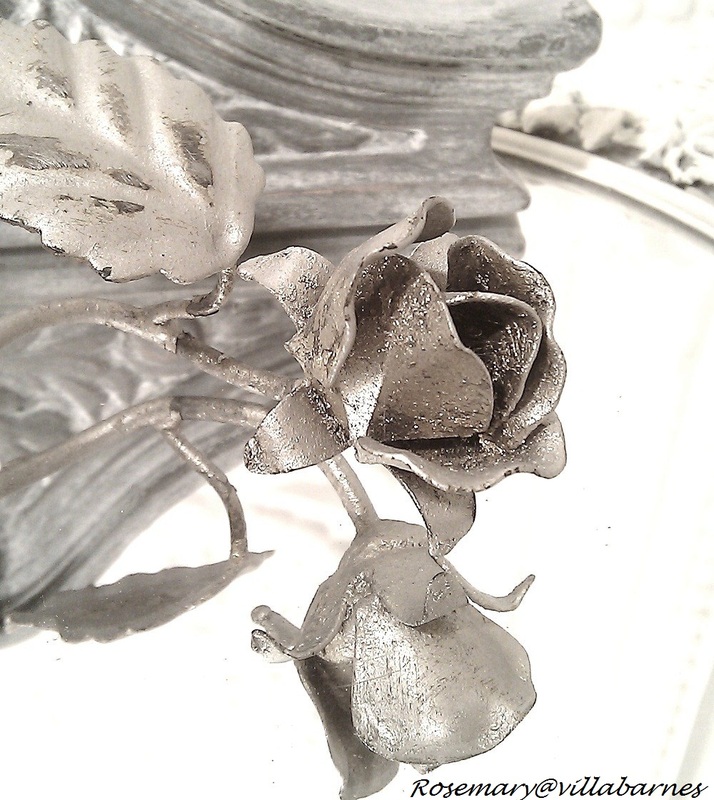 Gorgeous roses Rosemary, I love the metal. I love the basket in your other post too. You have such a great creative style. those little tags with the cherub are delightful. A soap mold? What a great idea! Happy Valentines day Rosemary! XO Those are some beautiful shots of roses indeed. Thank you for taking the time to drop by my blog and comment. I am now a new follower and am looking forward to seeing more of your blog. 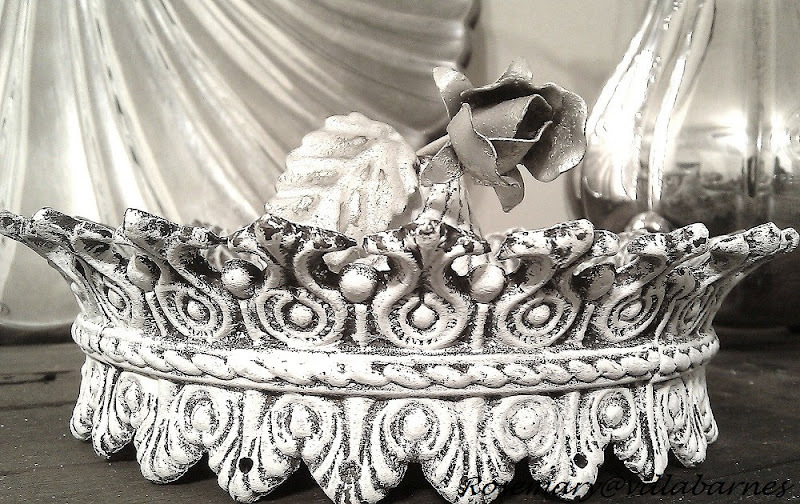 J'adore your wonderful roses...I love unconventional. Still very romantic. Hope you had a lovely day my friend! Roses are such a classic flower. I love how you enhanced those. Happy valentine day.This roses are look so wonderful and amazing.Rose are symbol of love. I love your style. Just found your blog.